Carbide steel is an incredibly hard steel alloy. 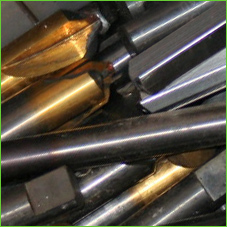 This variety of steel is commonly found in tools as a cutting or molding material. Like other forms of steel, carbide can be melted and reused.